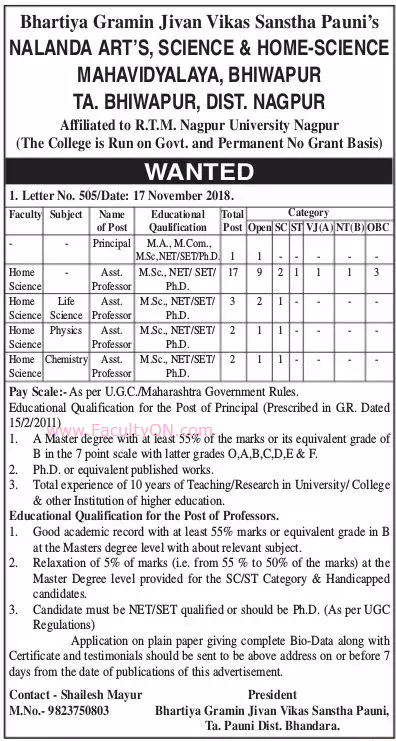 Nalanda Arts Science and Home Science Mahavidyalaya, Nagpur has advertised for recruitment of Assistant Professor / Principal jobs vacancies. 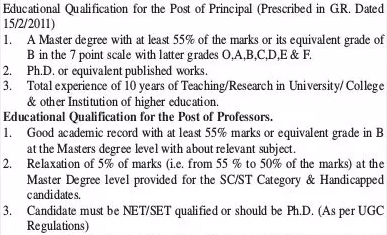 Interested and eligible job aspirants are requested to apply within 07 days from 06th December 2018. Check out further more details below. How to Apply: Interested and eligible candidates are requested to send application on plain paper giving complete bio-data along with all copies of certificates / testimonials and recent Passport Size photographs to the postal address mentioned below.